These are the official Tree Fu Tom licensed characters, Tree Fu Tom. 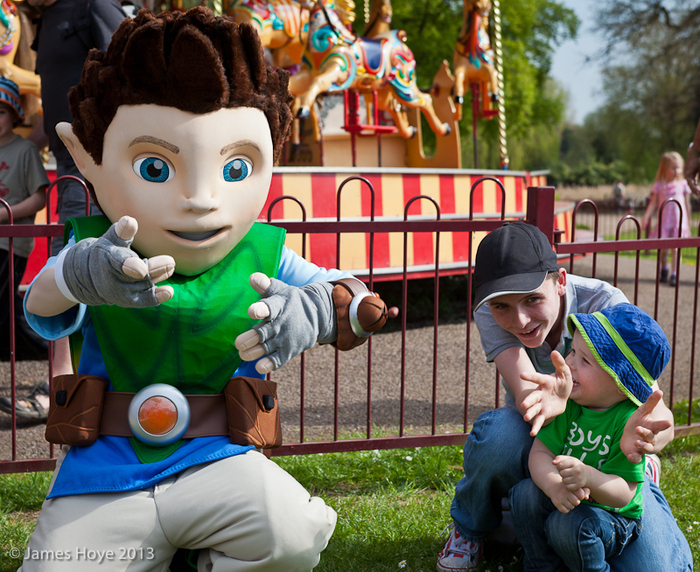 Rainbow Productions holds the UK’s official licence to manage the personal appearances of Tree Fu Tom at public events on behalf of the brand owner. Tom is an ordinary boy who can transform into Tree Fu Tom, a pint-sized superhero with mighty powers, whenever he performs the actions which invoke Tree Fu Magic. Tom is wise, courageous and skilled in magic. He often gets other characters out of scrapes in the magical world of Treetopolis. Tree Fu GO! 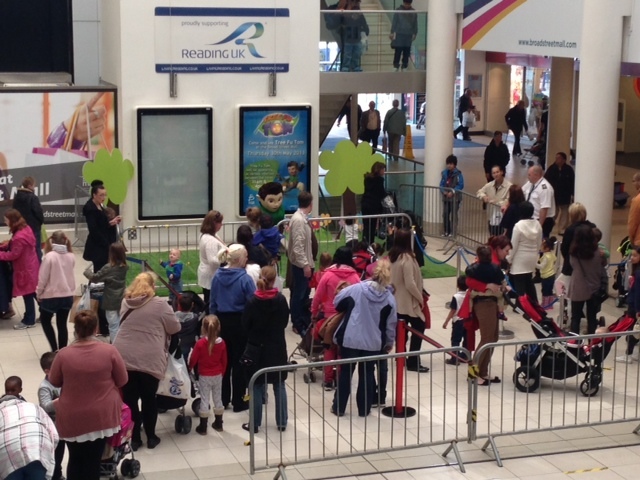 Tree Fu Tom launched on CBeebies in March 2012 to huge ratings success. Series 5 launched in 2016. A landmark animation from BAFTA Award winners Blue-Zoo. 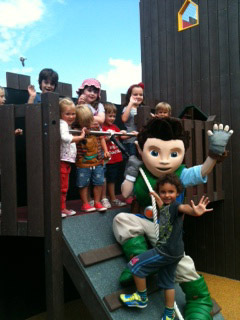 In 2012 Tree Fu Tom was nominated for a British Academy Children’s Award in the Pre-School Animation Category. The Tree Fu Tom online game is hugely popular, attracting thousands of unique users per week. Tom speaks directly to the audience and asks them to follow him in a series of Tree Fu Moves, designed to help develop movement skills, strength and balance in all participating children. The moves have also been specifically created to help children with Dyspraxia, a movement impairment condition, affecting 1 in 10 children. 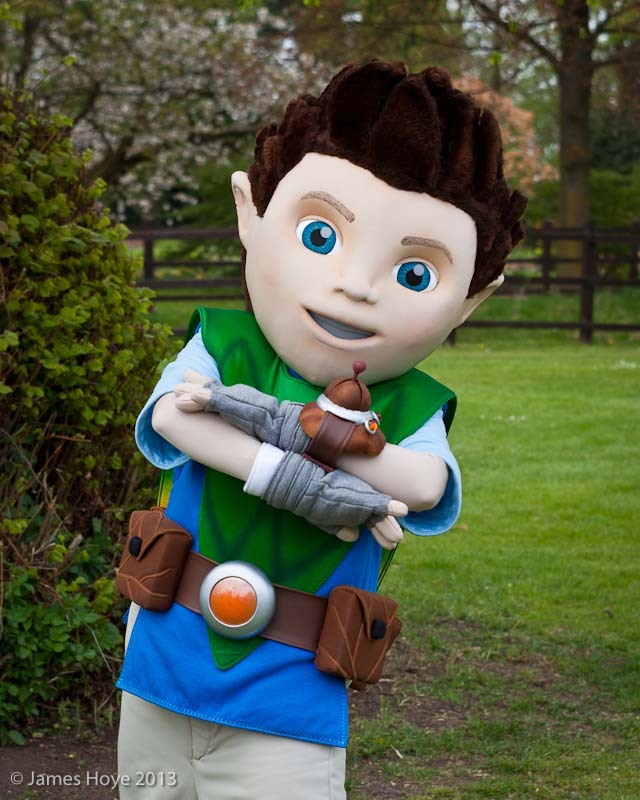 Mascot costume Tree Fu Tom is available to attend UK events.